— Soviet-era cosmonaut Vladimir Lyakhov, who logged almost a year in Earth orbit living aboard three different space stations, has died at the age of 76. "A bright memory of him will forever remain in the hearts of his friends and comrades in the service," wrote the training center in a statement. "Lyakhov belonged to one of the first generations of Soviet cosmonauts who wrote many bright pages in the glorious history of the Russian manned space flight." 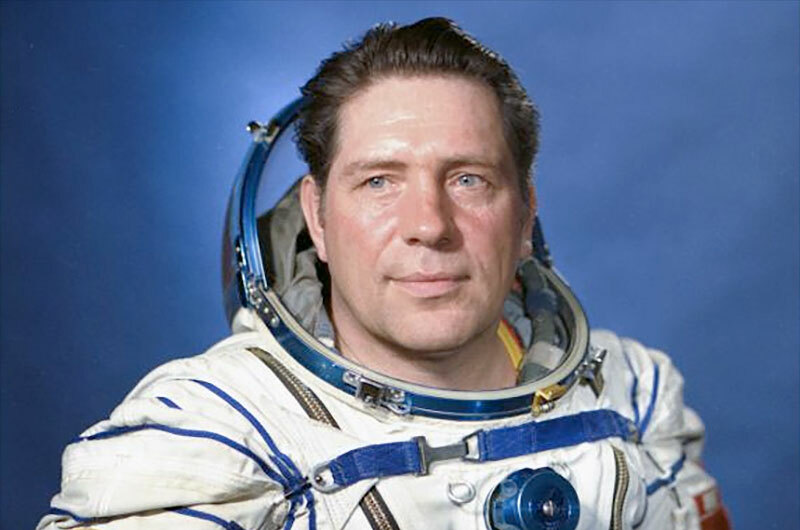 Lyakhov was chosen to train as a cosmonaut in May 1967 with the fourth group of Soviet Air Force candidates. Lyakhov's first mission assignment was as the commander of the Soyuz 32 spacecraft, lifting off on Feb. 25, 1979 with Valery Ryumin. 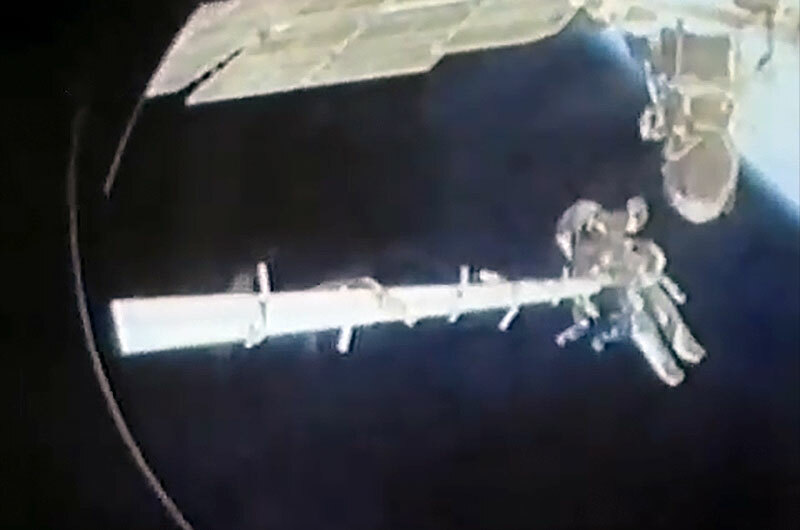 The eighth mission and seventh successful docking to Russia's Salyut 6 station, Lyakhov and Ryumin comprised the third crew (out of five) to complete a long-duration mission on orbiting outpost. For 175 days and 35 minutes — an endurance record at the time — Lyakhov and Ryumin staffed the space station alone. A planned mid-mission visit by the Soyuz 33 crew was aborted due to an engine failure. Further, as a fallout from that mission, managers decided to launch the Soyuz 34 spacecraft to bring Lyakhov and Ryumin home to Earth on Aug. 19, 1979 without a crew to replace them. Lyakhkov's luck with visiting crews did not improve with his second spaceflight to his second space station. Even before he launched on June 27, 1983 with Aleksandr Aleksandrov aboard Soyuz T-9 to the Salyut 7 outpost, the prior Soyuz T-8 spacecraft with a three-man crew failed to dock at the space station after an antenna was ripped from the vehicle during a launch anomaly. Once aboard Salyut 7, Lyakhov and Aleksandrov expected a visit by the next Soyuz crew to launch, but that mission's two cosmonauts barely made it off the pad with their lives. The Soyuz T-10a rocket was destroyed in an explosion on the ground; the crew members were saved by the vehicle's escape system. 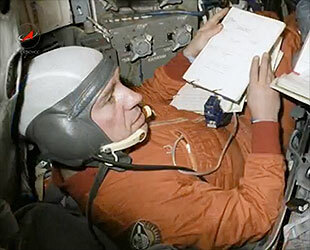 Lyakhov and Aleksandrov returned to Earth after living on Salyut 7 for 149 days on Nov. 23, 1983. As it turned out, Lyakhov's first and only successful visiting crew was the one he himself led on what was his third and final spaceflight to yet a third space station. Launched on Aug. 29, 1988, the Soyuz TM-6 spacecraft lifted off for the Mir space station with Lyakhov, Valery Polyakov and Abdul Ahad Mohmand, the first Afghan citizen in space. The sixth crew to fly to Mir, Polyakov joined the outpost's third resident expedition while Lyakhov and Mohmand had just eight days aboard the space station before leaving on Soyuz TM-5 to return to Earth. 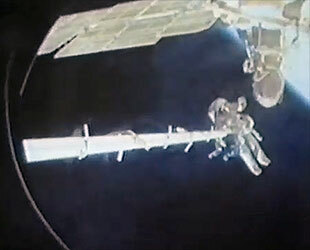 Lyakhov's last re-entry did not go to plan, though; a misconfigured computer resulted in his and Mohmand's de-orbit burn cutting off early twice. The problem was corrected, resulting in only a day's delay to Lyakhov final homecoming on Sept. 7, 1988. In total, Lyakhov logged 333 days, 7 hours and 47 minutes in space, including 7 hours and 8 minutes conducting three spacewalks — one outside of Salyut 6 and two outside of Salyut 7. Vladimir Afanasiyevich Lyakhov was born on July 20, 1941 in Antratsyt in what is today Eastern Ukraine. 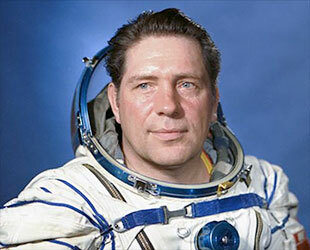 He served as a test pilot in the Soviet Air Force flying fighter jets prior to joining the cosmonaut corps. 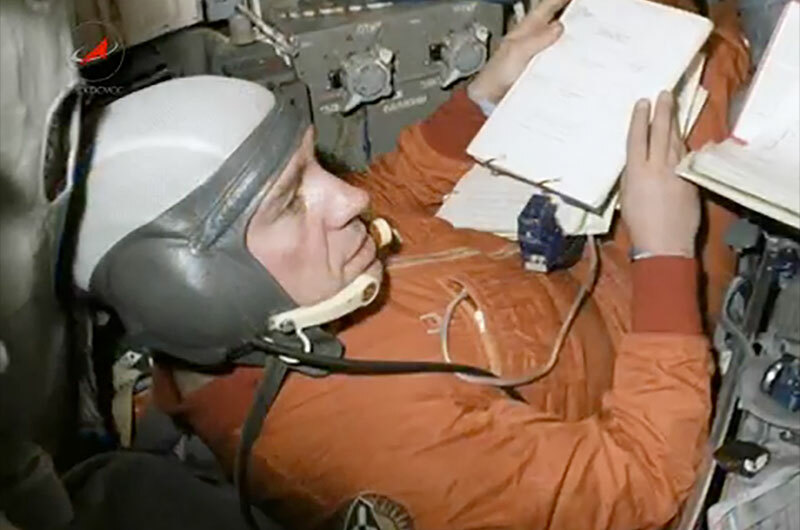 Following his three flights to three space stations, Lyakhov served as the deputy director for cosmonaut training and deputy commander of the cosmonaut corps at the Gagarin Cosmonaut Training Center before he was forced to retire at the age of 53 on Sept. 7, 1994. He was twice named a Hero of the Soviet Union and was awarded two Orders of Lenin, among other honors. In 1995, Lyakhov took a position as the deputy director of the editorial and publishing firm Rossiya. Three years later, he entered retirement, but continued to remain active as a community leader. He was married to Zinaida Elisanovna (nee Esmurzaeva) with whom he had two children, Yuri and Olga.